I’m uploading my You Rock collection of swatches! This was the one that I told Jill she could skip and I’m so glad she didn’t listen! I rarely can wear pinks that aren’t super light or super dark because of my skin tone, but this one was just the right warm shade of magenta! I love all of them in this collection, I’ll post the rest soon! This entry was posted in general polish yumminess, swatches and tagged creme, essence, let me in pink, magenta, nail polish, pink, swatch, you rock on August 10, 2011 by hollyshimmerspark. I have seen this bottle in online shops so many times but I had no idea what was inside! This entry was posted in general polish yumminess, swatches and tagged absolutely stylish, brown, dark, duochrome, essence, green, nail polish, pink, swatch on June 4, 2011 by hollyshimmerspark. 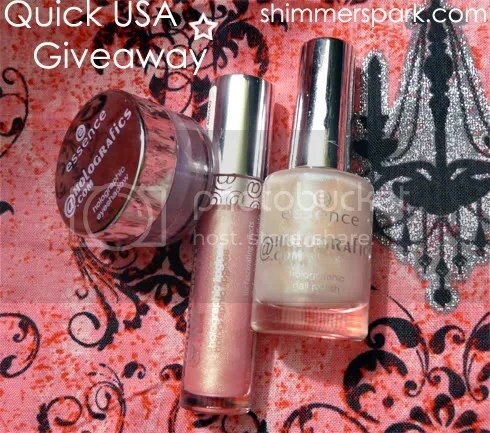 Quick USA Giveaway – Essence @holographics trio! When my friend in Switzerland sent me the You Rock polishes, she also sent some of the new @holographics products! Since these are impossible to get in the US right now (unless you’re lucky enough to have a European friend!?) and they’re so interesting (although I can’t really say they are that holographic? ), I wanted to do a quick giveaway to US-only so that you guys can check them out! These are the 3 things I’ll send you! This ends on June 17th! I’ll be shipping it out on June 18th! You can post about it if you want an extra entry, as always. Form to enter is here! This entry was posted in general polish yumminess, giveaway, YAY! 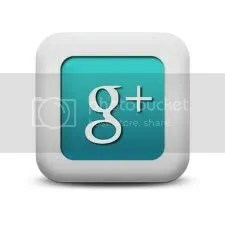 and tagged essence, eye shadow, giveaway, holographic, lip gloss, nail polish on June 2, 2011 by hollyshimmerspark.